A story in the UK’s Telegraph tells the story of a Royal Marine Commando who was tried and convicted of the murder of a wounded Taliban fighter. The story can be found here. The marine did not deny he shot the Taliban fighter but maintains he believed the man already dead. In other words in a moment of stress (and poor judgment) he took out his momentary rage on a man he believed already dead. The UK is in an uproar about this and believe that his sentence is much too severe. The connection I made is with a book titled Lone Survivor by Marcus Luttrel that came out in 2007. The book was made into a movie starring Mark Wahlberg. I had not heard of the book until I saw the movie trailer. I decided to read the book before I saw the movie and am about half way through. Luttrel does a great job of describing the training of a US NAVY SEAL our equivalent of Britain’s SAS and a close cousin to the marines of both countries. 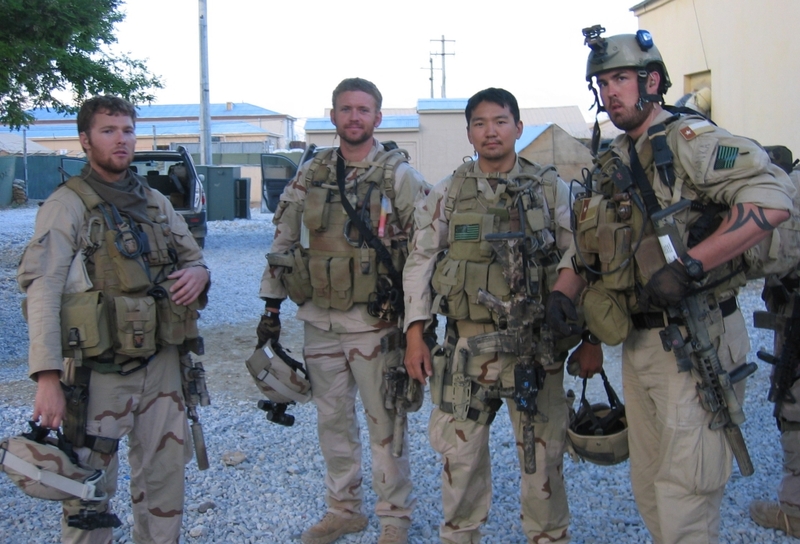 About half way through the book Luttrell begins to describe why he was the lone survivor of a four-man SEAL mission sent to hunt down a significant Taliban leader in the Hindu Kush some of the world’s most inhospitable terrain. The mission went south when three Afghan goat herders stumbled upon the patrol. The four SEALS took them prisoner and had a debate what to do with them. One SEAL didn’t care one way or the other, two SEALS favored letting them go (including Luttrell) and one SEAL favored killing them. Each choice brought consequences. On one hand if they let the three go they were sure they would inform the Taliban they were there. They knew they were outnumbered by 35-1 so shooting their way out was not much of an option. On the other hand if they killed the three, including a fourteen-teen year old boy they would buy themselves a little time in order to make their escape. They were fully aware they would be tried for murder because the SEAL officer said they would file a full report and not try to hide anything. They also knew that the American liberal press and Al-Jazeera would make much about the SEAL “murderers” and that their careers, should they survive would be ruined. They debated what to do and tried to get into contact with superiors for guidance but none was forth coming because the radio refused to work. They decided to let the three Afghans go based on two things according to Luttrell. One was Christian values and the other was ROE, short hand for Rules of Engagement. Within 90 minutes of letting the three go they were under attack by 200 Taliban making the odds 50-1. Three SEALS died (11 other SEALS and 8 soldiers died attempting a rescue later) and only Luttrell survived because of a local Afghan and a custom that amounted to a kind of sanctuary. What the story of the Royal Marine and the four Navy Seals have in common is the difficulty of fighting the kind of war they were (and are) fighting in Afghanistan. These highly trained warriors are constrained by the ROE. Their enemies are not and in fact use the west’s ROE’s against them. Luttrell accurately points out that the Islamic fascists routinely use suicide bombers, decapitate people, torture people and use no restraint at all in order to win. They will do whatever it takes to win, while our side is governed by the ROE which given the kind of war being fought often is absurd. Luttrell stated that he knew the minute they made the decision to spare the three that it was the “wrong” decision. He said that while the three were passive their hatred for the Americans could easily be seen in their eyes and the Seals recognized that while they may not have been AK-47 toting Taliban they certainly were collaborators with the local leader the Seals were after. The ROE say nothing about collaborators in a situation like the one the Seals found themselves in. In that scenario the guy that “tells on you” is just as dangerous as armed combatants, hence the tough decision to kill them or let them go. They erred on the side of letting them go and 22 American servicemen died. Luttrell states that Seals are trained to fear nothing and frankly I believe him. His recounting of the battle with the 200 Taliban is simply an amazing account of courage and compassion as the four struggle to keep each other alive in the face of overwhelming odds. Seal Team 10, Marcus Luttrell on the right. But Luttrell also confesses to the fact that the Seals (and other American units in Afghanistan) do fear something and that is the left-wing, liberal American media. And this is something else our military has in common with the British military. They can and will do what their countries order them to do and they will do it to the best of their abilities. That is a given. What else is a given is that if they make a mistake and an innocent civilian is killed, have a lapse in judgment like the Royal Marine or kill a likely collaborator the liberal, left-wing media will be an ally of the enemy and crucify our own side in the process. How easy it must be to sit in judgment and not have a clue what our service people have to face in a war that is both unconventional and brutal-a war in which only one side has any rules at all. Frankly, Luttrell’s chapter on the ROE and liberal media is worth the price of the book. I am proud of the men and women of our military who continue to serve under sometimes absurd ROE’s and under the glare of a media that will never give them a fair shake. Personally, I can see it both ways. As distasteful as it would have been the officer in charge had to have the safety of his own men in mind and as a priority. The probability of the three being at the least collaborators was very high. This combined with the fact they could not get raise help on their radio (for a quick extraction) argues in favor of doing the unpleasant and taking the rap latter should they survive. As Luttrell notes, at least they all may have made it out alive as murderers, but alive to defend themselves. On the other hand, I probably would have “voted” as Marcus and his officer did and let them go. I am simply glad I’ve never had to make a decision like that. I agree on all counts.Thanks for stopping by. sorry. I’m not of age any longer, But I would never knowingly join the service to fight for this country with one hand tied behind my back under these scummy R.O.E. The military is playing roulette with my life, while the enemy fights unrestrained? F’ck the need to acquire the goodwill of the “host” nation. This country has gone mad in where it sends it’s brave soldiers and the rules they suffer under. Besides that, we have no business in ground operations in Afghanistan. Since antiquity, no power has EVER successfully subdued the area for long. The Soviets even got their asses kicked. If we must neutralize Taliban, do it only with air, cluster bombs, drones, whatever. Being Karzai’s lackey is insane. Afghanis have turned on our military in our own bases. Afghanis are not to be trusted.